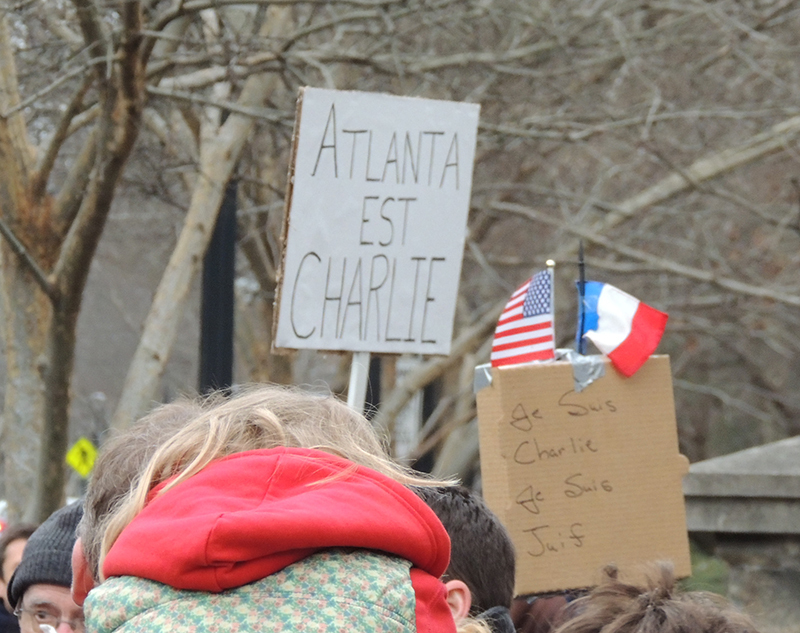 It was a protest without chants, a demonstration where the response to the call was only footfalls. 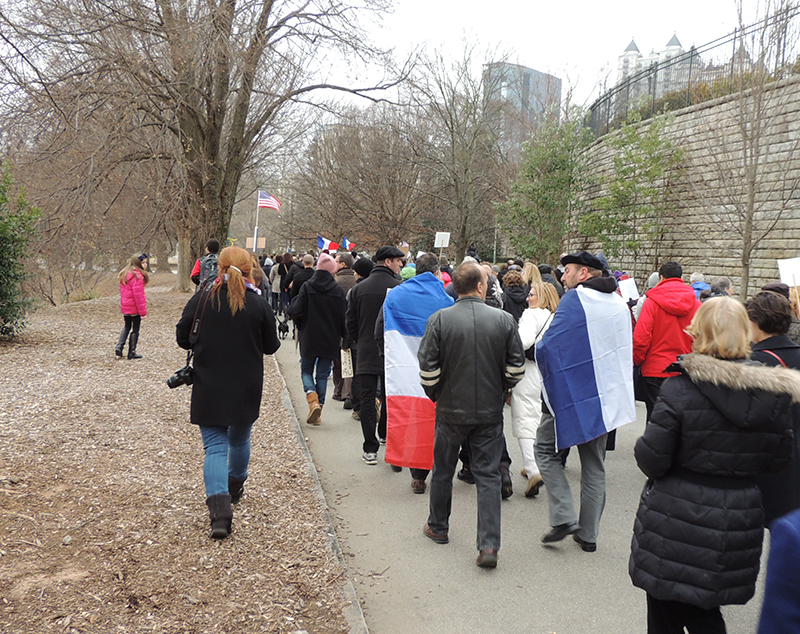 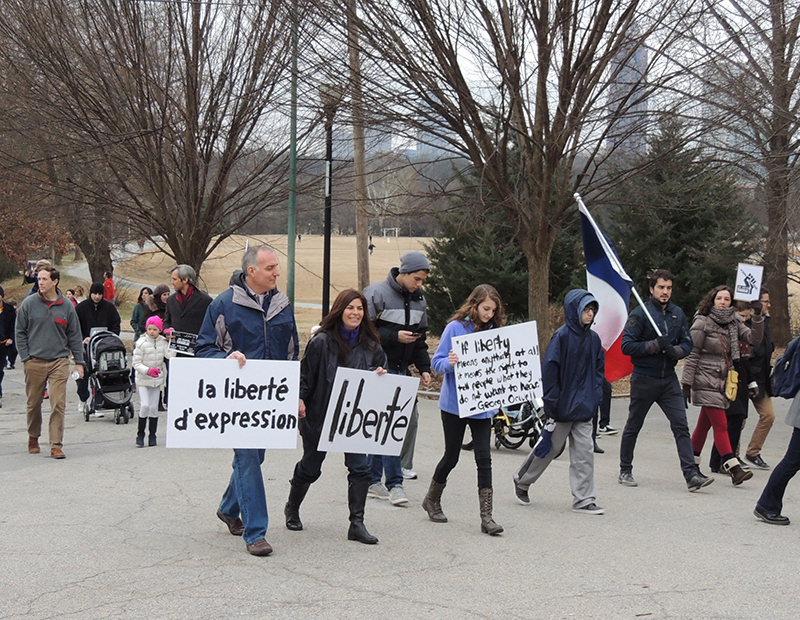 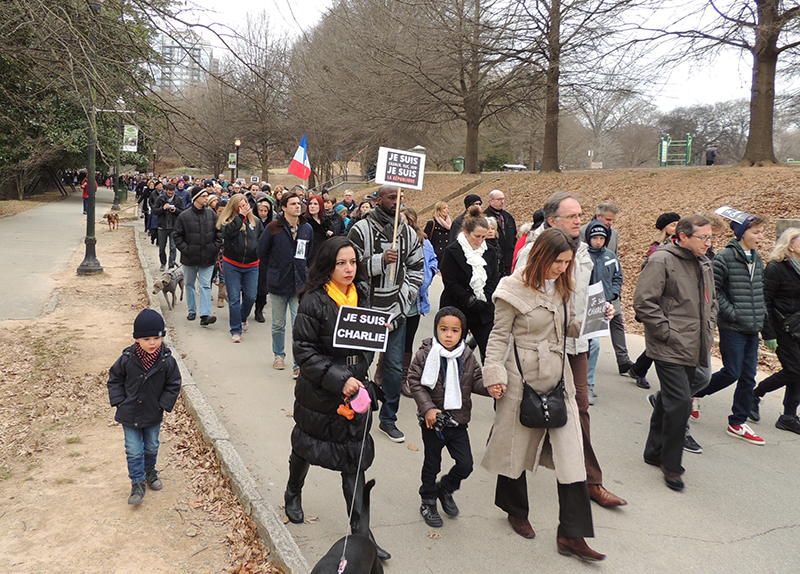 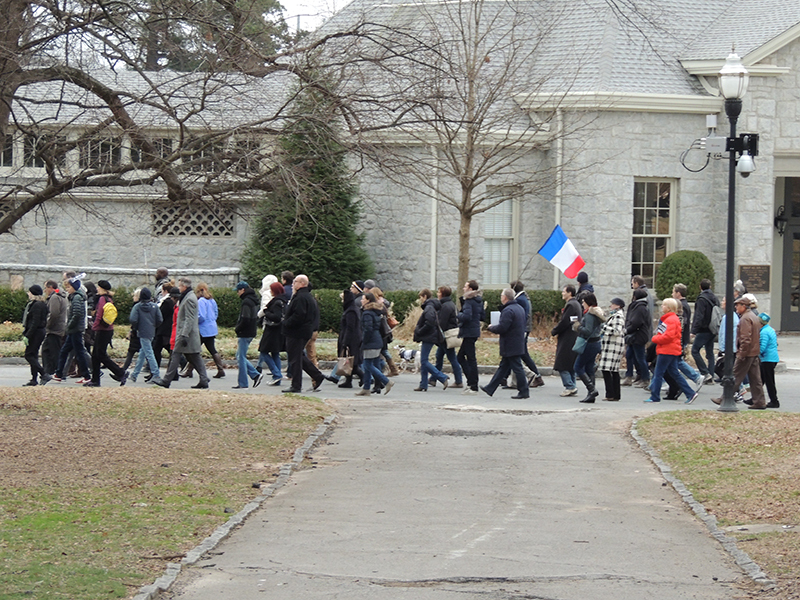 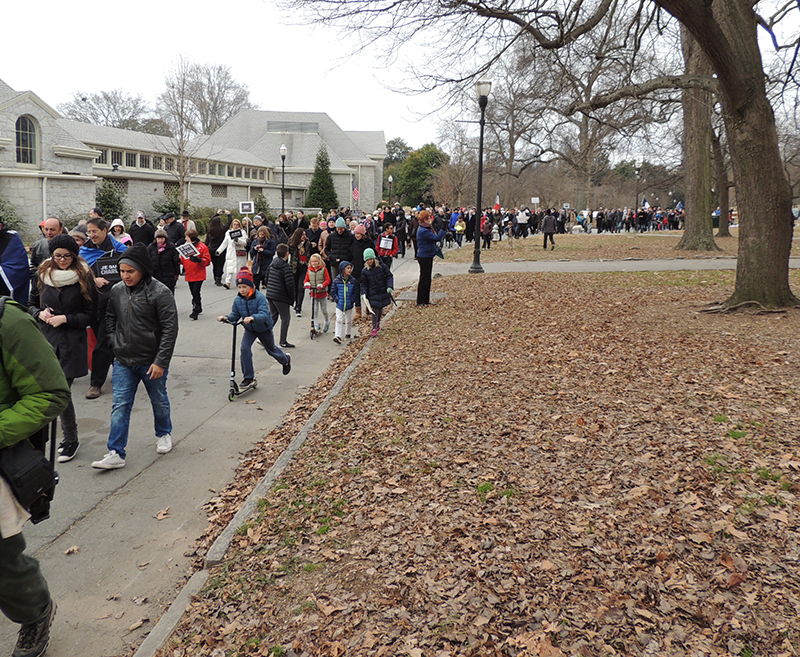 The hundreds gathered in Atlanta, Sunday, to remember the 17 murdered around Paris, this week, marched in silence. 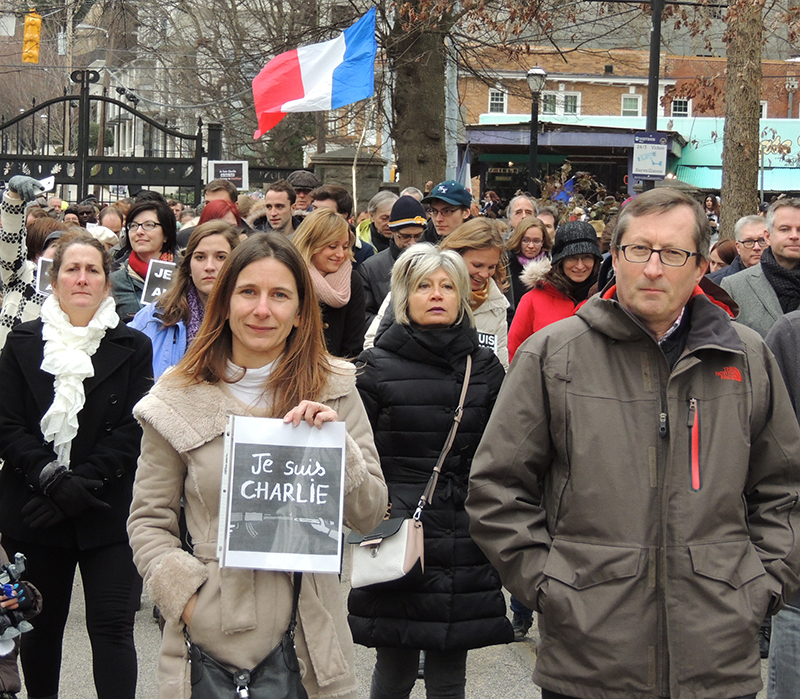 Only the voices of the children calling for each other and their parents – “Gaspard,” “Maman” – ruffle through the crowd alone with their thoughts.